This is SO funny. It makes me laugh every time I see it. 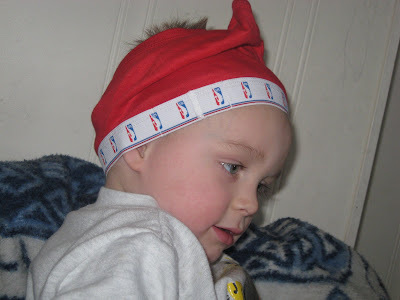 Grandma Lyn sent 2 new pairs of underwear for Joe, red and white NBA undies. 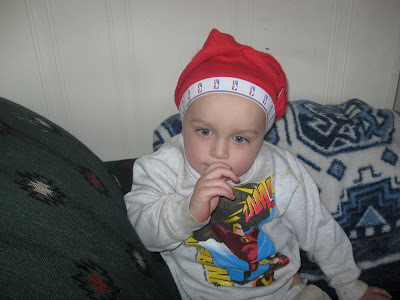 Jimmy has decided that the red pair is his hat. Don't ask me why, I don't know. But, it's sure funny. What you are watching is Jimmy wearing Joe's undies, and Joe getting mad at him. HILARIOUS! Just so you all know, these are brand new, never before worn. Not dirty underwear. Just thought I'd put that out there. Hehehe. That is quite funny! I wish I could have seen it happening, but that is pretty good! 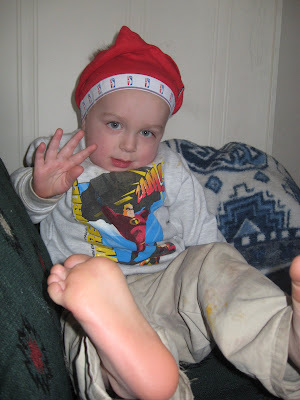 My Hat, No my Underwear! Classic Joe and Jim! Haha, that is good stuff. It does look a bit like a ski mask. 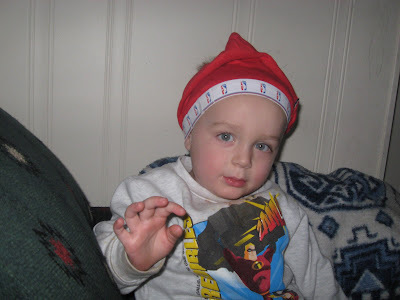 I must confess that Joshua and I used to wear underwear on our heads when we played, but we haven't done that in weeks.